In Patch 9.3, many League of Legends items for ADCs and marksmen were changed. Since then, players and pros alike have been trying to figure out what each item does and how to optimize their builds. In our 5th LoL items guide by PicklePants, we will discuss items designed for ADCs. Don’t worry, we knew Riot was going to adjust these items, so we held off from writing this guide until now – you should be good to go and take this information straight on to Summoners Rift! In our previous articles, on Support items, tank items, AP items, and assassin items, we provided basic terminology to explain how itemization works. Here’s a TLDR if you haven’t read the previous articles (skip ahead if you have!). Core items are almost always bought by your champion. Situational items are only bought in certain situations, such as Mercurial Scimitar, which is usually only needed to mitigate CC-heavy team comps. Did you find this guide looking for the best builds for your ADC champion? Our Pre Game feature will give you a recommended build from our high-ELO experts instantly before your game begins! If you’d like to try out the Pre Game, simply sign up for a free account. Mobalytics does so much more than provide builds so be sure to explore! Without further adieu, let’s dive into ADC items. Most ADCs tend to stick to one or two starting items and rarely take anything different. This is because these two items, in particular, are fantastic at allowing them to either survive the lane or win it. Some champions may benefit from a different set of starting items, but they’re champion specific, and not recommended on many champions: like Kai’Sa with Doran’s Ring. Not every champion can go Doran’s Ring, so we won’t be discussing that option in this guide, but note that some champions can take other starting items. The first starting item is Doran’s Blade. This is a great item on ADCs and other AD champions alike because it gives them bonus damage in lane, allowing them to deal more damage when last hitting minions and poking the enemy. It also gives 80 health which will give you a slight increase in survivability and helps prevent you from being killed at level 1. If you do get poked down though, lucky for you – Doran’s Blade also gives 3% lifesteal which will allow you sustain more in and regenerate some of that missing health. An ADC will take this starting item in most matchups unless they’re in a difficult matchup, they have no kill potential, or they expect to get poked frequently by the enemy. Examples of champions who benefit: ADCs who aren’t worried about dying early or want to play aggressively. If you’re in a poor matchup like suggested above, your other starting option is Doran’s Shield. Doran’s Shield provides the user with some added protection in lane thanks to its bonus health and multiple passives. The first passive restores 6 health every 5 seconds, giving you more sustain in lane. The second passive gives you some extra on-hit damage against minions when you auto-attack them. The final unique passive regenerates health after taking damage from the enemy. As you can see, Doran’s Shield provides you with a lot of sustain, which means it’s a must-have item when you’re in a difficult matchup. This is because it increases your survivability as it provides you with a lot of regeneration in lane, which can help you survive the laning phase. Examples of champions who benefit: ADCs facing early kill pressure and want to just survive/farm. Advanced items, also known as tier 2 or upgraded, are items that have only been upgraded once. They consist of one or more components that you will be assembling to build your final item. It’s difficult to talk about every advanced item that is available to an ADC because there are so many variations. You will need to look at the next item you intend to purchase, and from there, you can check to see what advanced items are most helpful for your champion. Take a look at the stats that the item in question provides and choose the advanced item you want. Draven is a champion that relies on raw damage to get himself ahead and win the game. Thanks to his Passive and his Q, he can be one of the wealthiest champions on the Rift. As he gets a lot of bonus attack damage from his Q, he is also one of the most obnoxious early game champions to lane against. Because of this, he can quickly gain a lead and “cash out” his stacks provided by his Q to get his items in lightning speed. Draven’s first item in most situations is Infinity Edge (IE), he will need to choose either of the 3 options that best suits him. Infinity Edge is comprised of 3 items components. The first is the BF Sword which is an ideal first back item for Draven. On your first back, you should try to have at least 1300 gold so you can buy this item. This is the best of the 3 items to build IE as it gives the most damage. The second option is a Pickaxe. This doesn’t give as much AD, but is significantly cheaper. If you have to back without 1300 gold, you will need to get this item so you can at least trade back with the enemy. 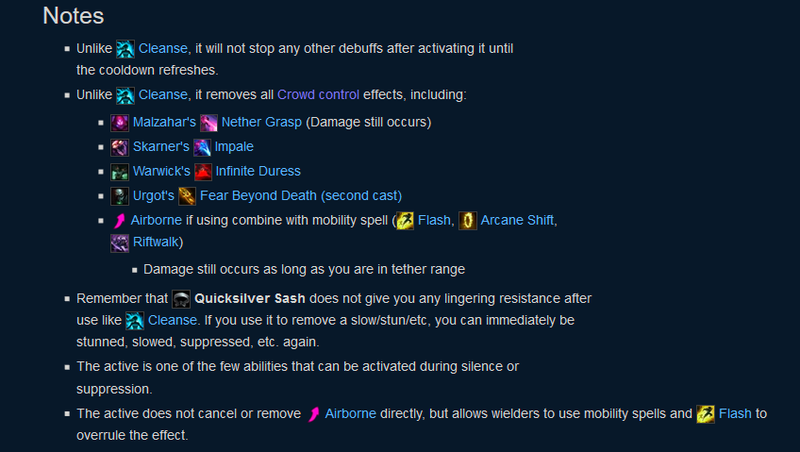 The third and worse option (for Draven) is Cloak of Agility which just gives crit – something Draven, in particular, doesn’t need on his first back. Completed items are items that can no longer be upgraded and have reached their final form. As an ADC, you have many choices to make, so it’s important that you always make the right decision. While the term ‘ADC’ is being used rather loosely lately with AP and melee champions being played in the ADC or Marksman role, we will only be discussing traditional ADC itemization. If you want to learn about AP champions for the bot lane, you may be interested in this AP items guide. Blade of the Ruined King, also known as BORK, is an item that gives a variety of stats that benefits ADCs who often play rather aggressively and take the initiative in team fights. This is because of the items passive, active, and damage output. BORK has a passive that deals 8% of the target’s current health as bonus physical damage. In layman’s terms, whenever you auto-attack an enemy, you will deal increased damage. This means it is great against tanks or enemies who have a lot of HP. In addition to this, Blade of the Ruined King also has an active that deals damage and slows the enemy. Making it good when chasing or escaping. Examples of champions who benefit: Ashe, Vayne, Ezreal. Bloodthirster gives a huge chunk of damage with a very healthy amount of life steal. In addition to this, Bloodthirster can overheal you. Excess life (earned through auto-attacking) is stored as a shield that can absorb and block damage. The shield decays slowly over time if you haven’t dealt or taken any damage, so keep this in mind in team fights. Don’t be afraid to start auto-attacking to restore some of your health as 20% life steal is invaluable when you need it. Examples of champions who benefit: Draven. The new Essence Reaver is a good item on multiple ADCs thanks to the overall stats that it provides. It gives 60 AD, 20% cooldown reduction, and 25% critical strike chance. As this is one of the few AD items that give CDR, if you rely on your abilities to deal most of your damage, this item will fit your champion perfectly. It is also good for champions who need crit. Examples of champions who benefit: Sivir, Xayah. Guardian Angel is a very strong item in the later stages of the game. It provides attack damage and armor, which makes it a good defensive item. However, most players buy Guardian Angel because of its passive. Upon taking lethal damage, you will go into a stasis. After you’re out of the stasis, you will come back alive with 50% of your base health and 30% of your maximum mana. This is a very big item for many ADCs because it allows them to play more aggressive as they know they have the GA to fall back on. It is important to note that many champions will struggle to kill you once in a team fight, let alone twice. Examples of champions who benefit: ADCs that fears assassination/burst or lacks peel from their team. 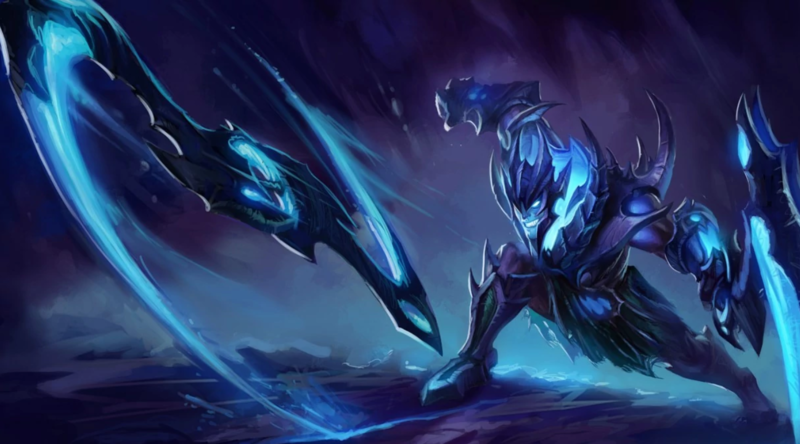 Guinsoo’s Rageblade is one of the ADC items that grants both AP and AD damage, which makes it a must-have item on champions who deal mixed damage. In addition to the 25 attack damage and 25 ability power, it also provides 25% attack speed. Guinsoo’s also has a few passives that you need to keep in mind, but the one that has the most impact is the “unique passive”. Basic attacks to either champions, minions or monsters grant bonus attack speed for 5 seconds- which can stack up to 6 times. At the maximum amount of stacks (6) you gain Guinsoo’s Rage. Guinsoo’s Rage triggers on-hit effects twice after every other basic attack. Its other passives are something you can’t really control, but they give you bonus armor penetration and magic pen as the game goes along. You shouldn’t worry too much about these though as you can’t impact them. What you can have an impact on though is the Guinsoo’s Rage. For you to get the extra effect, you need to make sure you can stack this item. This means you need to ensure that your auto-attack as much as you can in a team fight. Whenever possible, delay team fighting until it’s stacked. Examples of champions who benefit: Kai’Sa, Kog’Maw, Varus. Infinity Edge gives 80 attack damage plus 25% critical strike chance. The items passive increases the critical strike damage by 25%. This makes one crit deal 225% damage instead of the usual 200%. If you were unsure how crit works, a critical strike deals double the amount of damage as your auto attack. So, if you got this item first, you would get a 25% chance of critting, which is 1 in 4 autos (in theory). On the crit auto-attack, instead of doing 200% damage, you’d do 225% damage. Examples of champions who benefit: Draven, Caitlyn, Jinx. Lord Dominik’s is an item that is a must-have when enemies start building armor to protect themselves. Lord Dominik’s provides armor penetration that is needed to burst through their defensive stats. Without armor pen, you will find it hard to deal as much damage in team fights as the armor will block some of your damage. Examples of champions who benefit: Every ADC facing an armor heavy team comp. This item is another armor penetrating item that is needed during the later stages of the game so you’re able to break through the enemies armor. Much like its sister item, Lord Dominik’s Regards, it gives 45 extra attack damage and 25% armor pen. In addition to those two stats, it also inflicts grievous wounds on enemies who you attack. Champions infected with the Grievous Wounds debuff reduces all the enemies healing effects by 40%. This makes it an incredibly handy item when playing against champions or teams with heavy sustain and healing, like Dr. Mundo, Soraka or Vladimir. Examples of champions who benefit: ADC against champions with healing or health regen effects. Manamune is an item that is taken by champions who use their abilities to deal most of their damage. Manamune provides 25 attack damage and a nice amount of mana. Which makes it ideal for champions who use their abilities often thanks to the bonus 250 mana. Manamune has a few passives. The first grants bonus attack damage equal to 2% of your maximum mana, while refunding 15% of your mana spent. So if you use an ability, you gain 15% of the mana cost back. This increases the value for AD champions who use their abilities as they can reserve their mana pool and spam without worry. The second passive grants +5 mana for each basic attack or ability you use- which maxes out at 750 bonus mana. This increase can be granted up to 3 times every 12 seconds. You shouldn’t really worry too much about this passive because you will naturally max it out, but you can increase the speed by using your abilities as often as possible to ensure that your Tear and Manamune transforms into Muramana. At 750 stacks, Manamune will transform into Muramana. This item gives 1000 mana and another passive. Basic or single targeted attacks against champions (on-hit) consume 3% of your current mana to deal 6% bonus physical damage. However, this is only in effect when you have more than 20% maximum mana. Examples of champions who benefit: Ezreal, other ADCs who spam abilities (such as Varus in some metas). This item is a must-have defensive item that synergizes well on every ADC in the game. You will usually find champions picking this up during the mid/late game when teams start grouping as this is when team fights occur. When the enemy has hard crowd control or abilities that can pick off champions, you should get this item. It is a good item against champions wiht ultimates like Malzahar, Sejuani, or Amumu. This is because of its active- quicksilver, that removes all crowd control debuffs and grants you bonus movement speed for a second. In addition to this active, it also gives 50 bonus attack damage, 35 magic resistance to protect you against AP champions, and 10% life steal to give you some extra sustain in team fights. Here’s are some handy things to keep in mind when buying this item. You can read more the details of using it here. Examples of champions who benefit: ADCs that are playing into a CC-heavy composition. Phantom Dancer is an item that gives attack speed, critical strike chance, and bonus movement speed. It has two passives that empower the user with the first giving you additional movement speed when you auto attack an enemy champion. It also gives a “ghosting effect” which basically allows you to ignore unit collision like minion block. The second passive is something similar to Hexdrinker’s passive, but do not get the two confused – and no, they do not stack, so don’t buy this item and Hexdrinker. If you would take damage that reduces your health below 30% through either AD or AP damage, you will gain a shield that will absorb up to 600 incoming damage. This can help you survive the initial engagement when the enemy starts a team fight or directly debuff champions with burst damage. Examples of champions who benefit: Tristana, Sivir, Xayah. Rapid Firecannon is an item that provides a lot of attack speed, 25% critical strike chance and 5 additional movement speed. It also has a passive that energizes your auto-attacks, giving you increased ranged and bonus magic damage to the target you hit once you have 100 stacks. You can energize your auto-attacks and gain stacks by moving around and not standing still. You can also earn stacks by auto-attacking which is a faster way of gaining them. Your energized auto-attacks can be used on structures, minions, champions, and monsters. This item synergizes well with Stormrazor as it empowers this item’s passive. Examples of champions who benefit: Jhin, Tristana, Sivir. Runaan’s Hurricane is a fantastic little item that deals AOE damage. It provides +40% attack speed, 25% critical strike chance and 7% movement speed. While the stats are not super fancy, its passive is what players adore about this item. Runaan’s passive is super simple. Whenever you auto-attack, bolts are fired at (up to) 2 nearby enemies in close proximity to the focused target. Each bolt deals physical damage that can critically strike and apply on-hit effects like Grievous Wounds through Executioner’s Calling (Mortal Reminder). Shiv is another crit item. It provides 40% attack speed, 25% crit, and 5 additional movement speed. It has the same passive as Rapid Firecannon where moving around the map and auto-attacking will provide you with stacks. At 100 stacks, you will gain an energized auto-attack. Your energized auto-attack deals bonus magic damage to the target and up to 5 other targets nearby. This effect works on minions as well as champions. It can also critically strike the enemy. This item synergizes well with Stormrazor as it empowers this item’s passive. Examples of champions who benefit: Caitlyn, Sivir, Tristana. Stormrazor gives the ADC 55 extra attack damage and 25% extra attack speed. It can also energize your auto attacks when you have 100 stacks just like Statikk Shiv and Rapid Firecannon. These stacks can be earned by auto attacking and moving around the map. However, its passive is what empowered your other items in the game- especially if you’ve opted for crit items like Statikk Shiv or Rapid Firecannon. Firstly, your energized attacks deal 50 bonus magic damage on hit, similar to the other two items. In addition to this, your energized attacks have all their effects increased by 30%, while also slowing the enemy for 1 second. This means hitting an enemy with an energized auto attack increases the damage of your other energy-related items. It is no longer a first item must-have for many ADCs. This is because, without RFC or Shiv, you will be missing out on a lot of damage. In addition to this, it has also become a very niche item. For champions who used to buy this item first, you will need to get Infinity Edge first. Although most champions have core items they’re striving for, make sure to adapt to the game’s context. If you’re worried about an assassin, consider GA. If the enemy team has a ton of healing, consider Mortal Reminder. Remember to buy Control Wards. Yes, even the ADC should be buying Control Wards when possible. More vision means it’s easier to stay safe – more safety means more farm! Don’t forget your armor penetration. When team fights start occurring during the mid and late game, you will need to buy armor pen from Lord Dominik’s or Mortal Reminder so you’re able to break through the enemies defenses. Buy QSS or Mercurial Scimitar during the mid game if you need it. When the enemy has point and click CC or an ability that is used to pick off members of the enemy team, make sure you buy QSS and Mercurial Scimitar so you can escape their CC. You don’t need this item straight away or fully upgrade it early. Just make sure you get QSS so you can escape and get away. Track your own builds and your performance with them with the Summoner Profile feature. As we mentioned at the top of the article, the Pre Game is a quick and easy way to get a great build when you aren’t sure what’s optimal. Play normal matches or experiment in the practice tool to try to find a build path based on what works well for your champion and your playstyle. Find out what the pros are building! Search by a player or champion. Although it’s not always the best build, the client’s recommendations tend to usually be in line with what your champion wants. That about rounds up our itemization guide for ADC’s in League of Legends! Make sure to check out our other item guides if you’re looking to understand what other champions or classes should build. We hope you enjoyed and learned from this ADC item guide article. You can find Picklepants in our Discord if you’d like to pick his brain.